PENAIRE is a combination of the breed's name and family name Penny. Penaire began as a hobby in 1987. 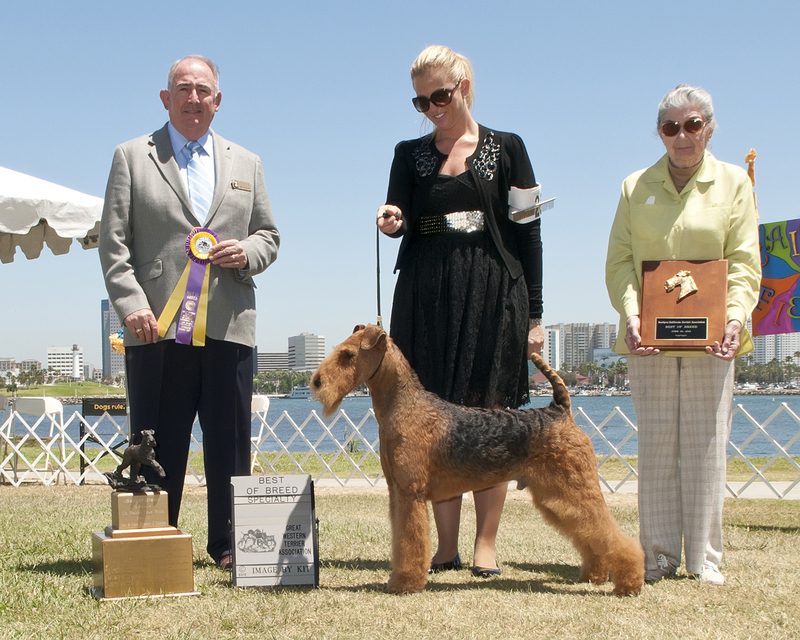 We, at Penaire, strive to produce a competitive show dog consistent with the breed standard of excellence and one we can enjoy as a companion. Great attitude and movement are our highest goals. Up to 2009, we have been fortunate to have owned and bred thirty-two champions. Most of our champions have obtained both US and Canadian national rankings. You may contact us at jclarke@penaire.com or by calling (902) 634-8339 in Lunenburg, Nova Scotia, Canada during summer months or (757) 565-3042 in Williamsburg, VA during the winter months. Copyright 2000-2012 Penaire Airedales. All rights reserved.